Contrary to the ads you’re seeing on TV, Josh Hawley did not file a lawsuit to take away your medical insurance or to force insurance companies to deny coverage for pre-existing medical conditions. 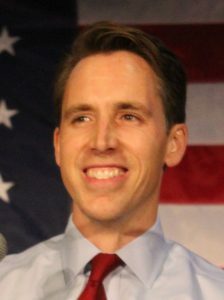 Democrats try to demonize political opponents and will say anything to defeat Hawley in his race to unseat Claire McCaskill. The case filed in Federal Court in Texas by the Attorney Generals of 19 states argues that the Affordable Care Act (“Obamacare”) is unconstitutional because it orders people to have medical insurance. When originally passed, the Act imposed fines upon those who failed to buy an approved Obamacare policy. The fine was collected by the Internal Revenue Service by assessing a “tax” through the individual income tax return (Form 1040). The Supreme Court held that the Affordable Care Act was an unconstitutional extension of the power of Congress to regulate interstate commerce. However, it was, the Court said, a permissible change to the internal revenue code under the power to tax. The Trump administration has ordered the IRS not to assess the tax. So, if there is no tax assessed against people who fail to buy a medical insurance policy does the requirement to buy insurance still exist? If the requirement to buy medical insurance no longer exists is the entire Affordable Care Act invalid? Republicans tried to pass a substitute law to replace Obamacare and to enable people to shop for insurance coverage that meets their needs and that they can afford to buy. A bill was passed by the Republicans in the House but was killed in the Senate by the Democrats’ filibuster. There are several proposals for ways to cover pre-existing conditions. A new law to fix the terrible effects of the Affordable Care Act while providing a means to cover pre-existing conditions needs more Republicans in the Senate to support better opportunities for everyone. Until we increase the Republican majority there will be no fixing the Affordable Care Act to preserve a better environment to support pre-existing conditions. Right now, the way things are written, the only way people can get medical insurance that covers pre-existing conditions is if the Affordable Care Act forces all insurance companies to offer coverage and forces all people to buy an Obamacare policy. Any change to the Act by Congress or the Court will cause people to die from lack of medical care. Some Democrats actually made that argument trying to stop Brett Kavanaugh from being confirmed to the Supreme Court! Josh Hawley has stated clearly that he is not working to take away people’s medical insurance or coverage for pre-existing conditions. The lawsuit he joined does not do that. You saw the hysterical arguments and the false statements made by Democrats trying to stop Brett Kavanagh. They are doing the same to Josh Hawley. Our course of action is clear: Get out the Republican Vote on November 6! 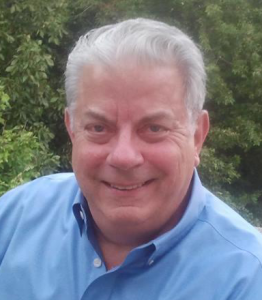 Want to stay up-to-date on politics in St. Charles County? Sign-up for our newsletter below to have important information sent straight to your inbox!